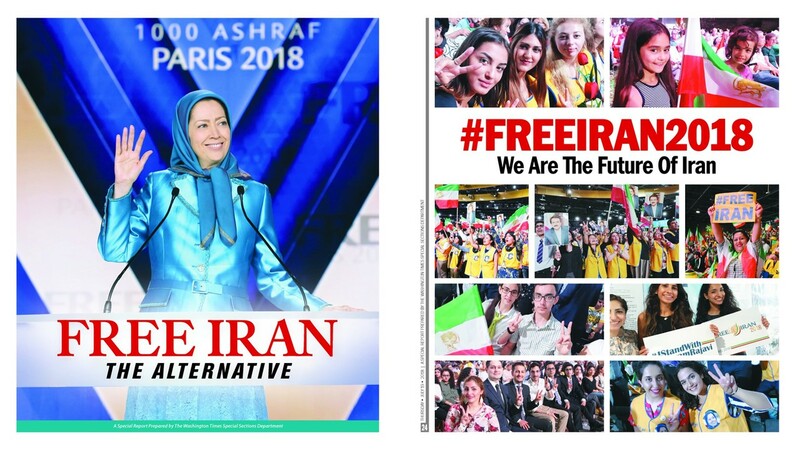 "Free Iran" is a Special Report prepared by The Washington Times Special Sections Department. Iran's largest dissident group is getting a fresh burst of support in its decadeslong push for regime change, as pressure builds on the Islamic regime in Tehran from the inside as well as the outside. We are now, I believe, very realistic in being able to see an end of the regime in Iran... We've lived through this before in other oppressed countries — when the people take to the streets, and they protest day after day like they've done in over 142 cities in Iran, like they did the other day in Tehran ... when that happens, then freedom is right around the corner. Our Secretary of State, Mike Pompeo, was asked by a journalist, "What is the U.S. goal with respect to Iran?" It's a warm day in Paris, it's a hotter day in Iran. But do you feel the winds of change blowing over Iran? And you, you are the people, your brothers and sisters in Albania and your brothers and sisters in Iran, who are blowing that wind with an ever-increasing force. When I was growing up, there was a song by Bob Dylan, and it said you don't have to be a weatherman to know which way the wind is blowing. Well, we don't have to be weathermen to know that the winds — the force of change — is not only irrevocable in Iran but it is blowing with increasing force to a logical conclusion. I look out and I see all the amazing women here who are part of the movement, led by the very inspiring Mrs. Rajavi. Good afternoon, Salam, Dorood. I am pleased to have the opportunity to address the organization of Iranian American communities of the United States. Hello, it is my pleasure to send my warm regards to advocates and friends to a free Iran. Don't believe that there is any difference between the European people and the expression of the American people and the Canadian people. 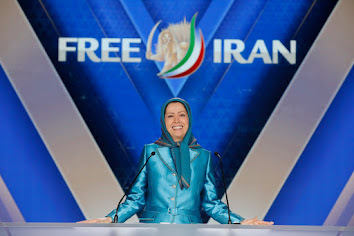 We bring our unswerving support to you, Madame Rajavi, and to all freedom fighters in Iran in the fight for regime change in Iran. I would like to turn our thoughts to (Tirana), in other words, to my friends in Ashraf. Madame Rajavi, friends, it's a great honor and a great privilege to once again join and to stand in solidarity with all of you and with the people of Iran. This is the day that we celebrate and reaffirm our common resolve. It is the annual celebration of the end of the horror that kept so many of your brothers and sisters in captivity in Camps Ashraf and Liberty.... I'm proud that, through many United Nations efforts, I was part of that long-lasting effort to let justice prevail. And I thank Albania for setting an example that should make many other European countries blush. Madame Rajavi, ladies and gentlemen, it is a huge privilege for the British delegation to take part in this rally to free Iran. Earlier this year, we saw in Iran what I thought was a glimmer of hope as thousands of people rose up against the regime. I join my colleagues from all the other parties in Parliament who are represented here today to stand in solidarity with you and the brave people of Iran who have risen up against the ayatollahs and their murderous, authoritarian regime. I'm proud to be standing shoulder to shoulder with so many other elected representatives from around the world who have gathered here to show support for the Iranian people and their struggle for justice and for freedom. It is important to know that this is our common fight. 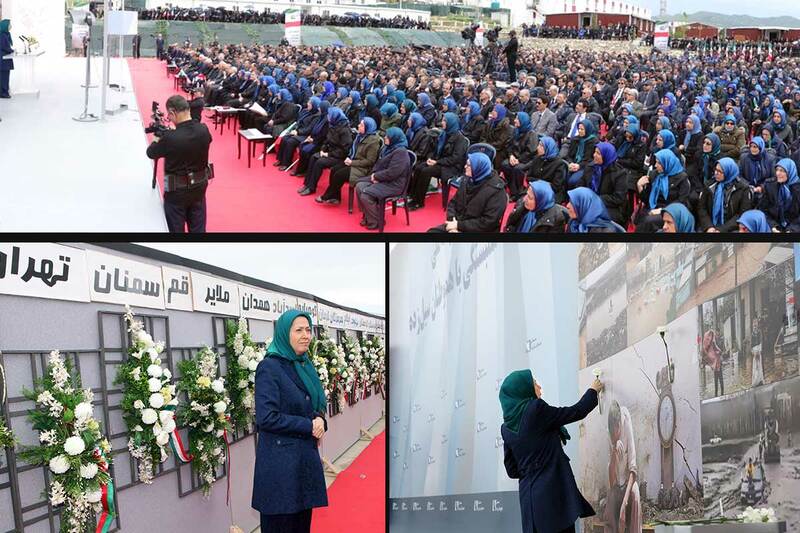 Since last December 28th, we are witnessing how Maryam Rajavi has been delivering what she promised. We are here as a delegation of Sweden, Denmark, Finland, Iceland, and Norway, and we even have our vice president from our Parliament. We are here on the podium with some our brothers from Moldova. We in Albania don't speak your language. But I hope that we understand very well each other from another language, the language of the heart. Invincible people of Free Iran, I really salute you. I salute your great leader, Maryam Rajavi. I came from Poland, from a country where brave people with imagination organized the workers' movement, Solidarity. Many people ask why Albanians offered to help our friends from Iran. Hail to the centers of rebellion; our hearts beats with theirs, and they are at the forefront of the nationwide uprisings. The reality is that the face-off between the Iranian people and the ruling regime has entered a new phase following the January 2018 nationwide uprising. In the view of the Iranian Kurdistan's Khebat Organization, the National Council of Resistance of Iran is the organized and democratic alternative to the regime, and no one else can play that role. It is an honor for us to be with you in these historic days and to convey to you the greetings of His Excellency President Abed Rabbo Mansour Hadi and the Yemeni people. A year ago, when newly elected and I spoke to you, France had just experienced a great political change.